Part of what makes being in academia so exciting for me is the very incompleteness of each project as expressed in Gödel’s theorem , here not referring strictly to its origins in mathematical logic of incomplete axiomatic systems, but rather used in a general linguistic sense of how research by definition, lies in a perpetual state of unfinish, the completion of which would warrant it redundant. It is this continuous dialogic and dialectic process of thought, creativity and innovation of ideas, a journey that continuously reveals and uncovers what was previously obscure or even unknown that I find oddly comforting – finding familiarity in the unfamiliar, a constant in the flux of things. As part of a collaborative publishing effort with friends from the IESE Business School in Barcelona from the International Faculty Program (IFP) of 2011, where colleague Peter Zackariasson was an editor, I contributed a chapter to the book entitled, New Perspectives in Management Education (Amann et al. eds, 2012) entitled “Chinese Wisdom. 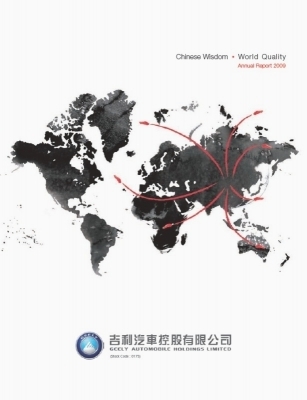 World Quality” Looking East for brand innovation and change management: reflections from a study on Geely automobile 2007-2011. It was a paper that reflected upon brand innovation and change managment in China’s Geely automobile from the years of 2007 to 2011. It was also during this time that Geely acquired Volvo Cars from American Ford in 2010, landing China the single largest foreign acquisition, at the same time (McDonald 2010, Wang 2011) setting up several technological and knowledge platforms for China that lent support to the country’s efforts in the aggressive acquisition of knowledge in general. Although American owned, Volvo Cars continued to carry a strong Swedish heritage in quality and branding where many of their engineers continue to sit in Sweden today. 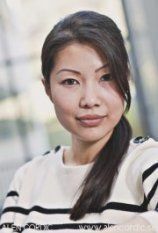 This meant that the acquisition of Volvo Cars by Geely was under sharp and curious observation both East and West, not in the least by Swedish academics and researchers from the disciplines of management science and international business (IB). Having previously studied the Swedish management style in comparison to the Singapore Chinese management style (Cordeiro-Nilsson 2009), a hypothesis of mine with regard to Geely’s acquisition of Volvo Cars was that the strict vertical hierarchy and authoritarian leadership style of the Chinese might end up severely clashing with the more lateral, egalitarian and consensus seeking leadership style of top level Swedish management, even if under the steering of American Ford. It made interesting observation to see how these differences in management ideology of which one had its roots in centuries of authoritarian dynastic rule, compared to the more individualistic developments of the occidental cultures, might be construed and subsequently manoeuvred in a cross-cultural setting. 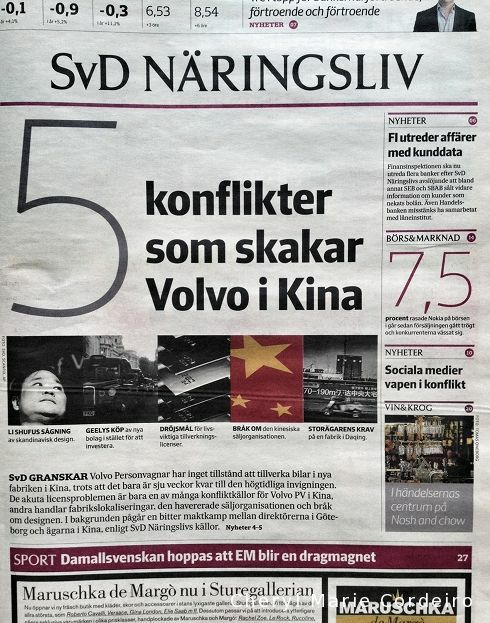 That China realized its authoritarian rule over its western acquisition was not optimal led to it taking what could seem a radical move – autonomy to Volvo Cars to continue being, Volvo. It then turned towards its scholastic roots, to become ‘student’ in this aspect, observing business and management practices whilst at the same time, educating itself on various technological and knowledge platforms with the purpose of going beyond replication, of becoming forefront innovators themselves. Where the theme of executive management education comes in is, with the support of the Chinese government, Geely had in 2000 set up Geely University with a mission to train individuals in the practical skills needed to build the company to its full potential of being a global player. By 2010, the company had an extensive talent management education program, offering in-house training and education opportunities in collaboration with Beijing University at all human resource levels from frontline factory workers to its top executive management teams that included doctors in research and development for Geely technology. 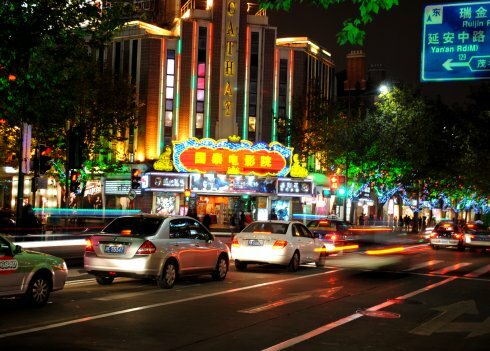 Today, the Beijing Geely University is one of China’s top ranked, largest private universities (Forbes 2010) that offers a range of subjects across disciplines from Humanities to Science and Engineering. From the talent management strategies of multinational corporations then comes the question of the role of Business Schools in executive education – what lies ahead for business schools and executive management of the future? Where do Business Schools see themselves fit in and what / how can they meaningfully contribute to this changing demographics of the education of a workforce in a trend where business acumen is necessary but not a sufficient variable in the required range of skills of a workforce that needs to be trained across different levels of expertise? Since management and organization is an applied science with theory and practice ideally combined in such a manner as to be practically applicable in the corporate world, such realities of executive education in multinational corporations could be argued to have put pressure on business schools in realization for a need to evolve with current corporate happenings and trends. In the field of IB for example, while the call for a more interdisciplinary approach to the field has been going on for the past two decades, it is more so today that scholars are beginning to take that call seriously, seeding as it were, the beginnings of a review of the role of business schools and what perspectives they can offer for corporate practicalities in future that includes executive education. Jørgen Ørstrøm Møller in his book, How Asia can shape the world, seemed to concur with J. Baird Callicott (1994) that the potential for the development of knowledge in terms of theories perhaps even practice, of the relevance of classical Chinese thought based on such East Asian philosophies as Confucianism and Taoism, is tremendous. With brush strokes from Chinese calligraphy and water colour painting, Geely’s annual report cover from 2009 exudes Chinese confidence in demonstrating the essence of going global with a local flavour. This appears a year before Geely formally acquires Volvo Cars from American Ford. Resounding in the field of IB currently and part of the call towards a more interdisciplinary perspective in the field is the encouragement of scholars to rethink and recast well-known management theories from the west in the light of eastern philosophy, a move perhaps spurred by China’s new found confidence in their own industrious mettle at doing business. Geely’s 2009 annual report cover for example displays in a single picture, not just their ambition for a global presence and global product distribution, but of a potential to internationalize Chinese ideology and this they do, much in quiet observation with what is well known Chinese dexterity at scholarship. 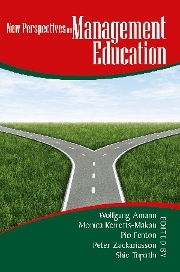 While there are no immediately clear or easy answers as to the impact of in-house executive education of multinational corporations that in turn produce educational infrastructure and facilities that eventually outsize and outperform business schools themselves, what is clear for the moment is that the wheels are turning in the right direction, with a broadening of the theoretical scope and perspective of management science and IB. At the moment while academia works to contextualize, reflect and understand as much corporate happenings as possible so that in the long haul business schools remain relevant in their role/s in executive education, what we will need to come to terms with is a form of Gödel’s theorem, this time applied on yet a different subject matter, targeted at a different level of understanding for future developments in the field. SEP 2013/2015. Gödel’s Incompleteness Theorems, Stanford Encyclopedia of Philosophy. Internet resource at http://plato.stanford.edu/entries/goedel-incompleteness/. Retrieved 27 December 2015.